It’s happened! 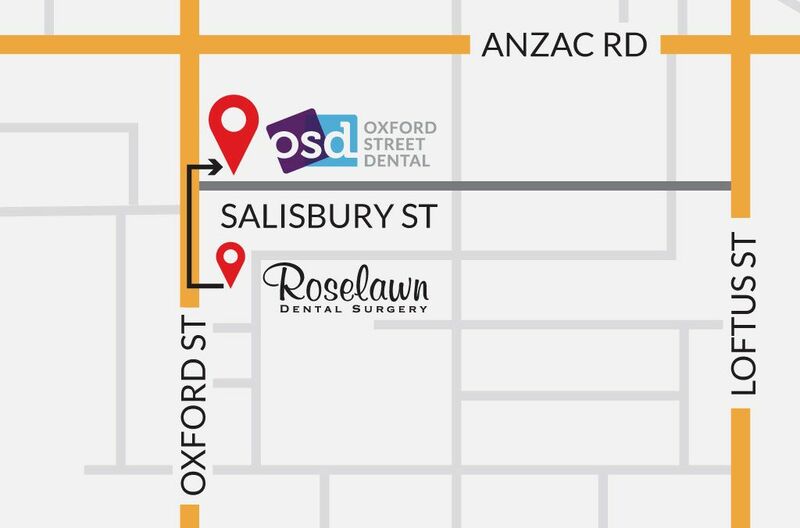 We’re thrilled to announce that the team of Roselawn Dental Surgery has combined with Oxford Street Dental – earlier this year. We’re now all operating under the one roof – as one big happy family – here at our Oxford Street Dental Centre. The two clinics are less than a minute’s walk apart – that’s 76 m – or one and a half rolls of dental floss, to be exact. So we doubt the move will be much of a problem for loyal Roselawn Dental patients. We believe there’s strength in numbers, and by having a team of highly skilled experts working closely together, we think we can offer our patients even more through this amalgamation. To see our new team, please check out our about page here. Oxford Street Dental will now be offering Super Care, enabling you to access your super fund, making certain dental procedures more affordable. We’re also a smile.com.au approved dental clinic. Smile.com.au is Australia’s fastest growing dental cover, helping over 1 million members receive affordable dental care. Pushed for time? Where making it easier for you by offering extended hours, such as being open late on Thursday nights, Saturday mornings and Sundays by appointment. Have any questions? Contact the clinic today. We’re happy to help.